I’m thinking of trading my 1312 for a 1392. After wearing my Rolexes for the last month or so straight, whenever I put on my Panerai, it just seems so big. Interested in your thoughts on this move. I realize it’s not significantly smaller but it is 2mm thinner as well. Am I crazy? 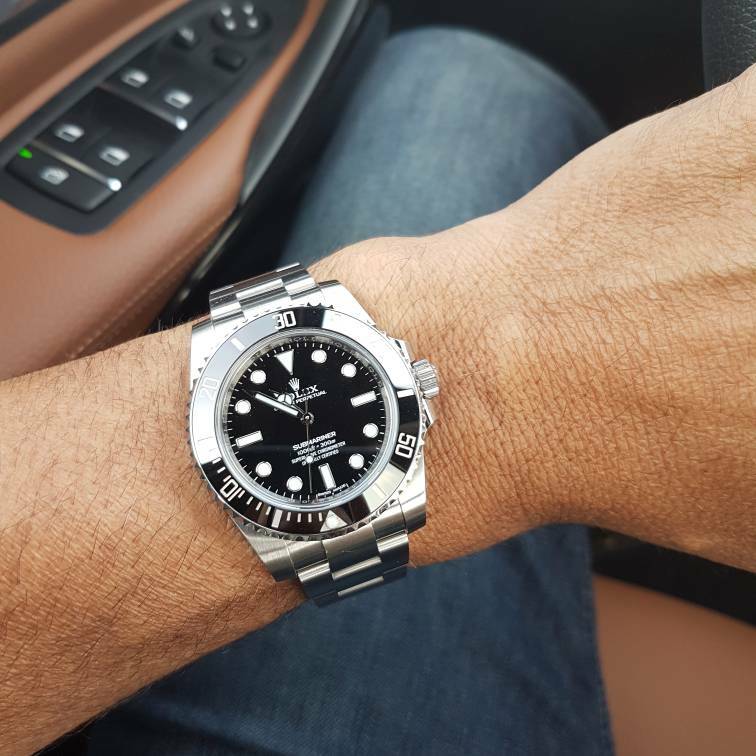 I think if you wear the Pam for a couple of days straight it will begin to feel normal and the next time you put on your Rolex afterwards, it will feel small. It's just what you're used to wearing. Only make the move to the 1392 if you truly like it better. 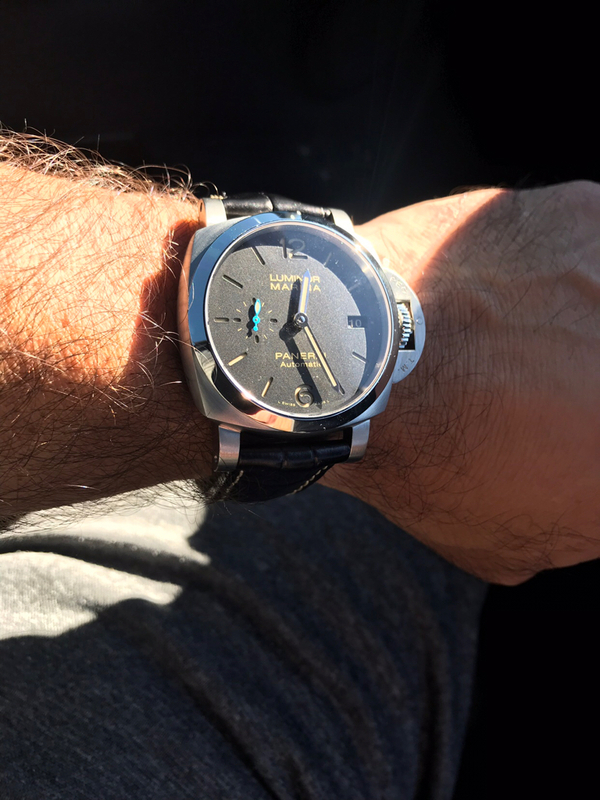 Otherwise, give the 1312 a little more wrist time, it deserves it! I agree about the Rolex vs Panerai. I wore my new 564 for a month but wore my sub today and it felt tiny. It’s all what you’re used to. In my collection I go from 40 mm to 47 mm and when I transition over from on extreme to another I always notice the difference. In a few hours of wear it is better and a day later when I switch up I will feel just the opposite. Part of the fun of collecting. OP, I enjoy the variety of wearing different sizes. The difference only lasts a short time for me and I adjust. 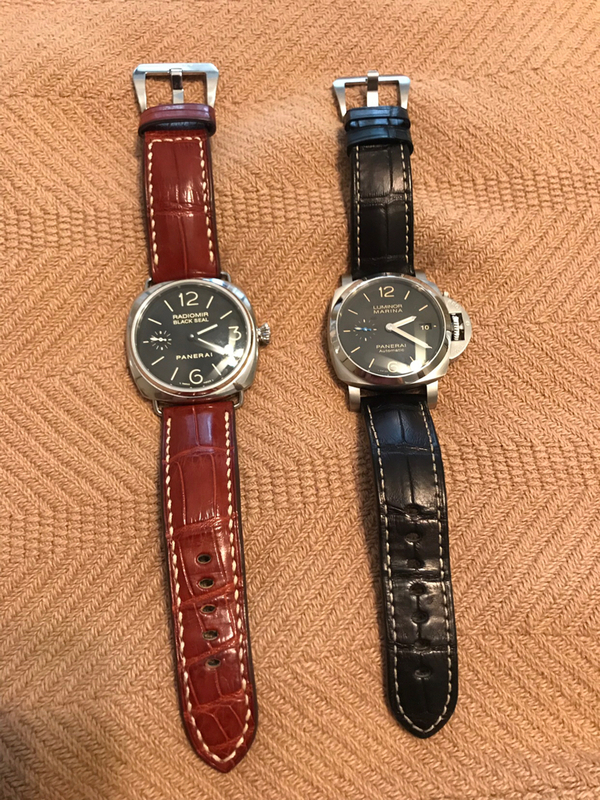 Here is what 47 and 40 look like on a flat 7" wrist. I wouldn’t do it... 1950 Luminors look better at 44 than 42, IMHO. Enjoy the difference compared to your Rolexes: it’s good to have & enjoy choices. Ok so now I don’t know what to do. How about a Manual wind 44, like this 590. It’s thinner than my 1312 and may lie flatter on my wrist. I do love the look of the 1392 better though, with the shiny hands and sandwich dial. 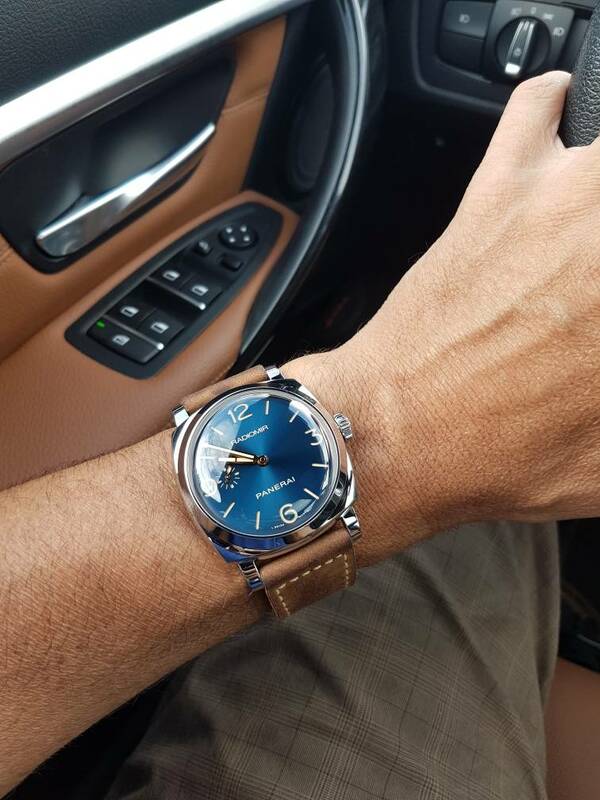 I’ve always loved that blue dial! Ok I did it. Traded the 1313 for a 1329, and then also bought an older used 183. So I covered all bases. I’ll report back later if I end up liking the 42mm but for today I think it’s going to work out well. How do you like the new trade? 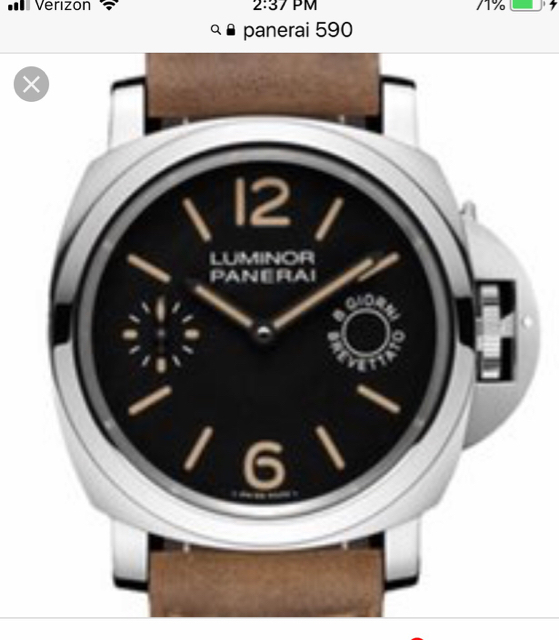 Have you thought of PAM 233? - It sits quite low compared to the automatic movements. Which straps do you have? Several, mostly aftermarket, pretty nice alligator, some calf and rubber. Traveling for business this week. I’ll place an add in strap section this weekend. Fantastic. If you have any OEM please let me know. Hi, I'm considering a similar move. Just wondering how you where getting on with it now you have settled a bit.